Let's talk sport... ...you, me, TODOS. The case for Spain to win once again lift the European Cup. Football is a special game full of special players. Now we could go ahead and talk about the special qualities of the Spanish players but that's what everyone talks about with Spain. The next thing that everyone talks about with Spain is their Tiki-Taka style of play known for their combinations of passing carousels that daze the opponent over the course of 90 minutes but we're not going to talk about that either. With that said I want to coin in a new term, "New Football World Order" or NWFO. This refers to what it realistically takes to win one of these major competitions (European Championship, World Cup, Champions League). This NWFO has been a recent trend among winners in the last couple years starting around the time Spain won Euro 2008 and it refers to in order to win a major international competition you don't only need good players you need great players that are winners. There is a fine line between good footballers and great footballers and that is the difference between getting a result when your team needs it. Now allow me to make my case. First let's talk about the past. In 2006 Spain was known as the team that never could. In the quarter-finals of the 2006 FIFA World Cup they came up against an experienced French side (past winners of World Cup 1998 and Euro 2000) that was on a mission to make one last final. They had great not good players like Thierry Henry, Patrick Viera, and of course Zinedine Zidane. Players that had won it all. They matched up against a young and capable Spanish side that had blown past the group stage. In fact in that match Spain led 1-0 after a David Villa penalty, it looked like they were on their way. Until France struck back with three goals with Zidane scoring to seal the match and Spain's fate. Those good Spanish players lost to great French players. The Spanish tasted defeat and it would fuel a thunderous campaign towards the build up to Euro 2008. And the rest is history...not quite yet. Spain still had to become a great team. When did that exactly happen. Well it may have happened on the pitch against World Champions Italy in a quarterfinal match. The lead up to the match had Italy with their experienced World Cup winning side now with their eyes on the Euro. Italy started off shaky getting destroyed by the Dutch but they managed to recover and pass under the radar as they tend to do. Spain on the other hand looked like the side in 2006 winning all 3 matches in the group stage. The two sides played through an intense 90 minutes 0-0 of football with Spain having more of the possession. They ended up going to penalties and the Spanish were underdogs of course for two reasons. One, they were facing the Italian side that won the World Cup in penalties. Two, they were notorious for always disappointing. But surprisingly Spain went through. It was a brave win for the Spanish side that would soon conquer Europe then the World. Spain ended up reaching a final where they faced a determined German side that was looking to lift another European Cup as they great German teams before in the past. 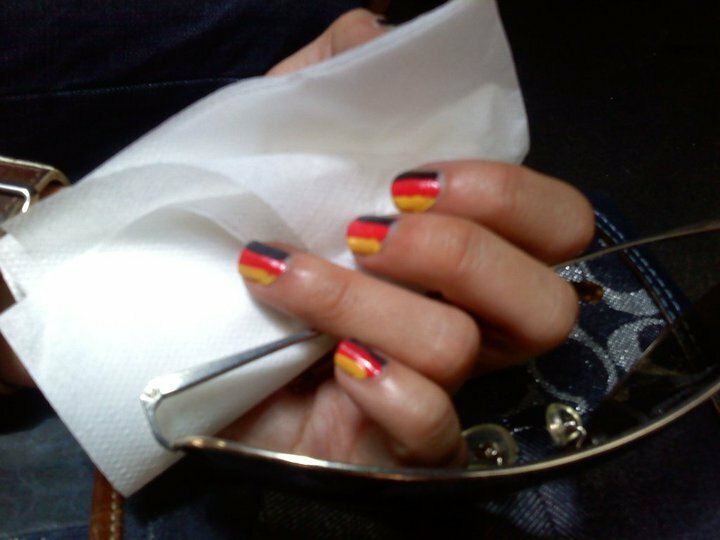 It was to be Germany again or Spain at last. Fernando Torres scored the only goal of the match as Spain dominated Germany with their slick passing game. Spain were the European Champions. Full of talent and now a side full of winners. A quality that under the NFWO states that only the teams that realistically have a shot at winning a major competition. Spain are a side not only full of great players but they are a decorated side full of winners. In this last cycle (4 years) teams that have won major competitions have been teams that fall under the NFWO. The NFWO is my theory to explain the winning formula in football for the last cycle (4 years). It suggests that a team can only realistically win a major competition (World Cup, European Cup, Champions League) if and only if they have winning footballers leading their side. More interestingly let's look at the 4 finalists of the World Cup in 2010 and see how NFWO is in play. The final 4 teams were Spain, Netherlands, Germany and Uruguay. Spain had the Barcelona 8 plus 2 from Real Madrid and 1 from Villareal in their starting line up against the Dutch in the Final. Of those 11 players 9 of them had won the Champions League. Barcelona having won the year before and almost reaching the final losing to Inter Milan led by Jose Mourinho and Wesley Sneijder. Inter went on to beat Bayern who was led by the incredible form of Arjen Robben in the Champions League. Those two protagonists in the 2010 Champions League final for some reason happened to be Spain's opposition in the World Cup Final. Another Dutch player that made a big impact in the midfield exerting his authority was Mark van Bommel, who captained Bayern to the Champions League Final. Good players get praised, great players make Finals and win. Coincidence about the Spanish-Dutch final in 2010? I think not. Equally as interesting is the case for Germany and Uruguay. Germany was a side led by the great play of their youngster. Of the players that were protagonists for Germany 3 of them played in the 2010 Champions League Final again players that are winners not just good players. Bayern players captained by Philipp Lahm, Bastian Schweinsteiger and FIFA World Cup 2010 Best Young Player Award Winner Thomas Müller led the German side to 3rd place finish losing to the Spanish in the semi-final in match similar to the Euro 2008 Final. As for Uruguay they were led by a player that was on fire scoring winning goals for Atletico Madrid in the Europa League Final that year. That player was Diego Forlan, leading his side to a European title that year. He was in red hot form in the Europa League scoring a winning goal in extra time at Anfield against Liverpool and two goals in the Europa League Final. He carried on in the World Cup leading Uruguay to a fourth place finish and won the award for the Best Player at the 2012 World Cup. How about the great Brazil? Why didn't Brazil do well in the World Cup, they crashed out against the Dutch. In 2010 Brazil was led by Kaka, Luis Fabiano and Robinho as their playmakers to win another World Cup. Kaka, Luis Fabiano and Robinho had disappointing seasons and didn't win any titles or play in any Finals. Only Kaka in 2007 before NFWO came into play so you can say they were good players but not winners and that hurt Brazil in end, who fell to the Dutch on goals created by guess who? Wesley Sneider and Arjen Robben (winners). Greece is getting better at holding the ball. They are more comfortable playing with quick passes. However, they are only successful at holding the ball around the center field and not more towards their opponent’s goal. When the center midfield has the ball the strikers are running forward for over-the-top balls or through passes, instead of checking to the ball and giving it back or turning in order to advance the ball and the team as a whole more up the field. The strikers need to hold the ball or distribute it, and with players like Gekas/Salipingidis up top this is not going to happen. And so, Greece has a problem of scoring goals. They are going to come from a switch of the ball to a outside midfielder/winger that will cut in for a shot or a header from a spot kick. Another issue from the Armenia game was that the Greek squad needs to find a suitable penalty kick taker. Samaras nonchalantly missed his penalty due to his overconfidence from winning it, while Katsouranis missed also from not being used to striking penalty shots. I would advise a player like Ninis, Maniatis, or Karagounis taking a penalty chance. Goalkeeping - Sifakis should be a starting keeper over Chalkias. He has enough experience, is quick to get down to the ground for saves, and is comfortable with receiving passes in his box. Defense - The youngster Kyriakos is quite a player. Starting his first game in the pre-Euro friendlies, he is a commander in the center of defense as a great aerial threat on free kicks, producing the only goal against Armenia. The Monaco man Tzavellas is out of form for sure, and so Holebas looks to be the first choice, which does add the probability of some runs from the left defense. Sokratis is comfortable at the right back position, but hopefully Torosidis, the Olympiakos star, will be back from injury to give a lot of flexibility on the right defense and Sokratis can commander the center of defense with his fellow Bundesliga teammate, Kyriakos Papadopoulos. However, Avraam Papadopoulos is an adept and ready substitution in the center defense. In the center of midfield, Maniatis is showing to be a great asset. Midfield- Like his teammate from Olympiakos, Maniatis shows a lot of flexibility, playing in the center midfield (as a holding midfielder) as well as right back. I would like to see him start in the center with the experienced, yet mobile Panathinaikos midfielder, Katsouranis. Now on the right side, Fetfatzidis plays a great role because has a killer dribble and can produce a pass or shot as he cuts in from the right. The youngster Fetfa is also really good at taking down the ball from a long switch from the left defense or midfield which is important in a technically average Greece side. Karagounis is a big question this Euro 2012. He seems to play an important role in the smoothness of the Greek playing, but if he can maintain a starting position with 60 or so minutes is a big question. This brings to mind, the youngster Fortounis, who Santos has shown interest in. He can play in the center midfield or even as a right winger, which could be important in securing Sotiris Ninis a spot in the attack instead of midfield. Attack - Salpingidis used to be the quick, hardworking winger, but he has become lost of touch and pace. Samaras is the one player haunted by inconsistency, not only in a single season, but also in a single game. He has the potential to pass defenders with a nice run as well as making a bad pass or missing a penalty. His inconsistency is frightening. On the other hand, Sotiris Ninis, the boy wonder, is expected to perform this Euro 2012 as well as he should be. Ninis has the technical touch, creativity, and shot that can produce a result from nothing. He is quick, fit, and determined player, and Greece starting 11 needs that. As the pure striker role, there are some problems. Gekas is out of shape. He has the knack for scoring goals, but you can not depend on him. Gekas is the striker that surprises. He will score goals when you don’t expect them. He is not the player that will score players when you need them. Liberopoulos was chosen for experience at 36, and it might backfire. Players like Athanasiadis and Christodoulopoulos could had a spot up front. That leaves Mitroglou as a necessary substitution to inject energy when needed from the strikers. Hope to see Mitroglou produce in the time given to him. Overall, I would say that Greece’s chances in qualifying for the quarterfinals of the Euro 2012 depend heavily on their result of the first match. The Polish will be a quick, strong side that could give Greece many problems if Greece doesn’t hold the ball or attack consistently. 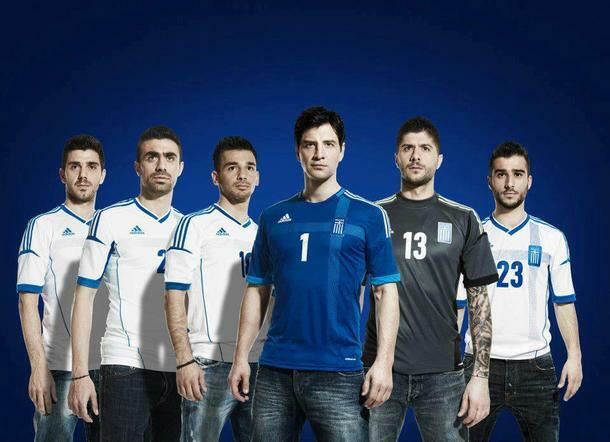 Greece need to divert attention away from their strong defense by starting player like Fetfatzidis to dribble and cause commotion on the wing, Maniatis to help Katsouranis in holding the ball and making tackles in the center midfield, and Ninis for his creativity and energy. I predict a 2-2 result from the that first match. In the 2nd match, Greece will beat Czech Republic 1-0. The third match, Greece will tie 1-1. _Above are Greece's stars who play in the Greek domestic league (from left to right): Kostas Katsouranis #21 (Panathinaikos FC), Giannis Maniatis #2 (Olympiakos FC), Sotiris Ninis #18 (Panathinaikos FC), Michalis Sifakis #13 (Aris FC), Giannis Fetfaztidis #23 (Olympiakos FC). Spain go into this tournament, obviously as hot favourites after winning the previous European Championships 4 years ago and as current World Champions so no doubt all eyes will be on them to perform with their fluid and incisive style of football. But the added pressure to retain the championship will definitely stack up against them and two main players Carles Puyol and David Villa will be missing. This means the Spanish go into the tournament missing a true leader and experienced centre back in Puyol, leaving them with a weak defense consisting of players such as Javi Martinez, who is a not a natural defender and Raul Albiol who has hardly played this year for Real Madrid to partner the ever dependable Gerard Pique. The Spanish will rely on their ball possession to restrict teams from actually having a go at the back four but their biggest loss is that of their prolific goalscorer. Villa has been Spain’s top scorer for the past 3 tournaments, Euro 2008 he topped the charts with 4 and in South Africa’s 2010 World Cup he was joint top scorer with 5, meaning Spain will have to rely on other sources for goals this time around. Underperforming Torres, internationally unproven Llorente, Pep’s unused Pedro and relatively unknown Negredo will have to step up to the task of filling Villa’s very large scoring shoes. This year’s Germany team have been tagged by the media as the best group of players the national side have to offer since the early 90’s team and that says a lot for a team mainly composed of young players. The main issue though that clouds over the National side is the very high expectation of this young squad to perform. Most of the players coped very well in South Africa’s World Cup but expecting the side to repeat its fortunes and take a step further this time may just seem too much for the squad. To back this up the unexplainable loss of Bayern Munich in the Champions League final showed that although a certain Dutch man lost his side the cup, the German players in the squad had been psychologically affected. When the penalty shoot out took place most of them stepped back from taking any of the penalties except of one ever so determined Neuer. Last Saturday a weak German side, not containing any of Bayern’s players from that unfortunate night, lost heavily to the force of the Swiss by 5-3. It will be interesting to see how the German side will kick off their next match with the deflated Bayern players included. Netherlands, undeniably the next team we are all expecting to challenge Spain and Germany to the title. A team full of great midfielders and two menacing strikers, Huntelaar and RVP. Huntelaar was this year Bundesliga’s top goal scorer with 29 goals and having a very productive 2011 – 2012 season for Schalke scoring a total of 48 goals in 47 appearances, which stat talks for itself. RVP this year has truly reached the greats of world football stars, considered by most as one of the best forwards on the continent, equal to the likes of Ronaldo and Messi. He managed to score in total 37 goals and assist 15 in 47 appearances for Wenger’s team in the process winning the Premier League Golden Boot, the PFA Players' Player of the Year and FWA Footballer of the Year and obviously getting into the PFA Premier League Team of the Year. But these very two top scorers are what is causing a distress to the Dutch national team. The media in Holland are stressing that both players should be playing and never left out of the squad meaning that Huntelaar has been given the central striking position shifting Van Persie to the wing of the attack, a positioned that he does not relish. Both players are used to being the main strikers at team level and at international level they seem to be out of position. Huntelaar doesn’t get the supply he requires as Van Persie who should be providing has both eyes set on goal but this means that from a wide position has more effort to get into a clear striking position. This showing was indicative when last Friday Holland suffered a shock loss to Bulgaria on home ground. This leaves us with the team this post should be all about, Italy. This first point is an indication that Italy are not front runners but will be able to capitalised on the front runners uncertainties as would they should be considered the next in line. Any problem the other sides seem to have Italy do not. First off unlike the Spanish they have a solid back line in Buffon, Barzagli and Chiellini and striking options that seem fearless in the likes of Balotelli, Cassano and Di Natale. Second they don’t have any expectations mounting over them as the German’s do. The side include a mixture of youngsters and very experienced players which should give a balance to the squad. And third they have a unique and solid system which seems to suit all players. Prandelli is not the customary Italian coach conserving the lead and restricting players from attacking, he is very much unlike that giving players the freedom to express themselves. This brings us onto the next point. Throughout the qualifying stages Spain unsurprisingly had the highest average of possession but second in line where the Italians consisting of a total of 829 passes, a stat which would conclude the Spaniards aren’t the only tiki taka style team in the Euros. Prandelli has formed a side around the legend and reborn Juventus start man Adrea Pirlo. Juve this year went unbeaten and topped the Serie A and at the centre of this was Pirlo’s contribution, a free agent from AC Milan in last year’s summer transfer window. Pirlo has the ability to control games tempo by either holding up the ball and playing it along the back line or swiftly moving the ball from one wing to the other with his long passing range. Another key point in the Qualifying stages was the Italy’s defence, which let in only 2 goals. Once again Prandelli has used the stronghold of Juve’s unbeaten backline to create a strong Italian defence. Barzagli, Chiellini, Bonucci and the ever present Buffon have all come from a successful season with the Serie A winners conceding only 20 goals in 38 appearances to star in the Euros and fight for clean sheets. Indisputably the Italians new style of possession play would have also contributed to the low goals conceded but the defenders of such calibre will not get beaten easily. The selection has been spot on by the Azzuris, no controversial players in or out. The squad boasts a fresh breath of young players that have performed well over the past year, players that are just reaching their peak and international proven players. I’m not going to ramble about Juve’s success once again but Italy will try and replicate what they have achieved. 3 of the back 4 and 2 of the 3 central midfielders are Juve players which should translate into confidence and a will to win. The last world cup was a complete failure for players such as Buffon, De Rossi, Pirlo and Di Natale as they finished bottom of their group against the likes of Paraguay, Slovenia and New Zealand, a group they should’ve won easily considering they were current World champions at the time. This time around they will be prepared and determined to make amends for their fans and country alike. One last point to mention is the return and rebirth of one other player, Antonio Cassano. Over the past few years he has endured horrible experiences of being dropped by the national and team coaches on countless of occasions and suffered ischemic damage leading to him having a heart surgery. This did not seem to stop Cassano as on his return from operation he scored against Genoa in a Serie A match and was also Italy’s top goalscorer during qualifiers. Expect determination, passion and creativity by the man that has been turned down by a number of people. Just before the tournament Italian football has been clouded by the scandal of match fixing. A number of people have already been charged including Lazio’s captain Stefano Mauri who was arrested, Juventus’ manager Antonio Conte has been rumoured to have taken part and most importantly Italian international Domenico Criscito had to be axed by the national side just a few days ago as he is been investigated by authorities. This will definitely hang over the squad during the tournament as uncertainty will arise at some point and players may be asked in for questioning. Italian footballers will be used to ongoing allegations of match fixing and the media have seemed to turn their attention to the scandal rather than the Euros which could work in favour for Prandelli’s side. Alex Kosmas for TODOSLifestyle +May 2012. What's your take? Let's talk here.